1) It's native to the Southeastern U.S. (although as the name suggests, it's really only native to marshy, coastal places from Texas to Florida and up to Maryland). 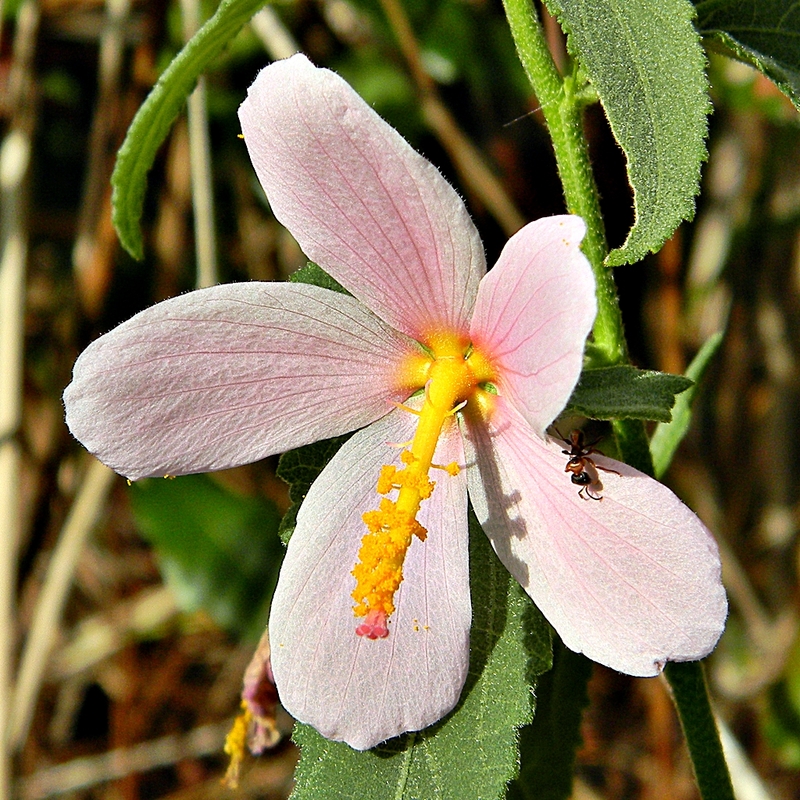 2) Despite the fact that it naturally occurs just at the coast, Heather Alley, Conservation Horticulturalist at the State Botanical Garden in Athens, Georgia says that seashore mallow has thrived through downpours and droughts in her inland botanical garden over a number of years. 3) Both my wife and I like hibiscus flowers (in fact, I'm already growing Hibiscus moscheutos, H. syriaca and H. coccineus in my garden), so I'm eager to try growing another member of the Hibiscus family. 4) Alley says that the flowers are attractive to bumblebees and that Kosteletzkya virginica can self-sow and provide some volunteer plants. 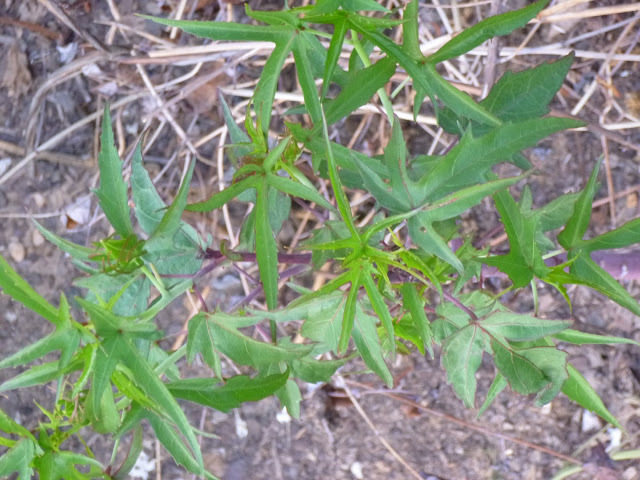 Do you grow seashore mallow? If so, what has been your experience with this plant?